There is an ongoing war between two Girl Gangs, the Akabane 100 Club and the Ikebukuro Cavalry. Yukiko, the "Bankaku," or chief bodyguard of the Akabane, is released from reform school and sets about to finish an ongoing one-on-one grudge match with the Arab Falcon and the whole Cavalry gang. With a theme song by 1970s Japanese "Group Sounds" band Carol, and live performance. 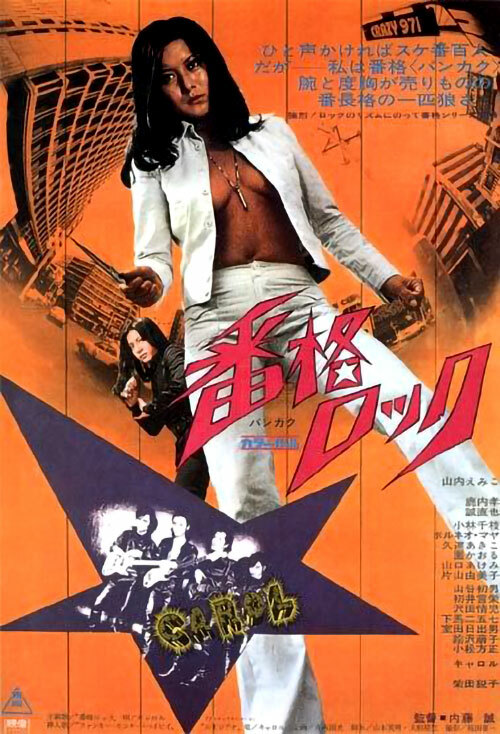 Rock and Sukeban unite for an extraordinary and cool piece of filmmaking. 0 Response to "Ranking Boss Rock (1973) Makoto Naitô"